Regarding how near we may be to Jesus Return — we could be very near. 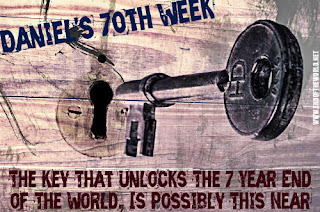 Regarding The Scripture in the Title of the post, In Understanding The Times :: The Nucleus of The Atom of The Times We Are Living In, Is This :: When a 7 Year Peace Covenant – Daniel’s 70th Week/Daniel 9:27 – is Signed with Israel and The Many (maybe the UN, EU) by The Anti-Christ, The 7 Year End of The World Will Begin. Israel is back as a Nation as of 1948 for the first time since 70 AD. The Peace Covenant can literally happen any day. 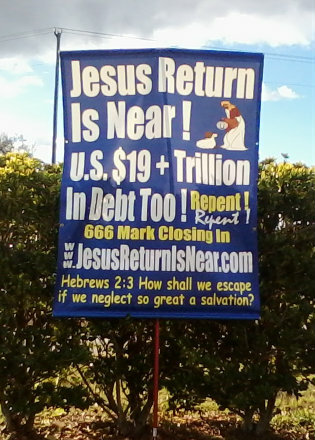 I’m thinking on a Future Feast of Trumpets, Daniel 9:27 and The Rapture may take place. The Kings of the East in The Book of Revelation (China, maybe India/old Russia Territories?) can field a 200 Milllion man Army. YHVH’s Fall Feasts – Holy Convocations (Rehearsal) of: Trumpets, Atonement, Tabernacles most likely the time of the Ful-fillment of — The Rapture, The End of The Tribulation (Armageddon), The Millennial Reign. From the 5:20-5:30 Mark of the video above it’s best not to look at the screen, there’s like a bad acronoym used — this verse is needed :: Psalm 24:3 Who shall ascend into the hill of the LORD? or who shall stand in his holy place? 4 He that hath clean hands, and a pure heart; who hath not lifted up his soul unto vanity, nor sworn deceitfully. Ezekiel 38/39 – Invasion of Israel to take place in the Latter Times! by Russia, Iran and others — This is pretty much set to go. Iran has openly called for Israel’s destruction. 2014/2015 – Tetrad of 4 Blood Red Moons, occuring on YHVH’s Feast Days – which could be very significant. The Epistle of Barnabas says God will finish Everything in 6,000 Years, we may sincerely be at the 6,000th year. Matthew 24:9 Then shall they deliver you up to be afflicted, and shall kill you: and ye shall be hated of all nations for my name’s sake. (This may be happening majorly today — but will ultimately Take place during the 7 Year End of The World/Tribulation, which could be soon). Department of Homeland Security = One to Two Billion Rounds of Ammo. Also The Muslims/Islam could be a very real Threat of death to Christians during the 7 Year Tribulation — The 666 Mark could be tied to Islam possibly too. Earthquakes are picking up and majorly — The Japan 9.0 Earthquake/Tsunami/Nuclear Disaster this year was like a Super Birth Pang. 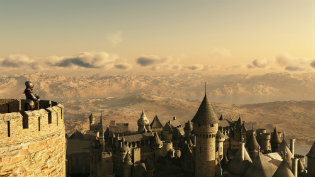 As of 2012, and since 1990, Earthquakes May Be At A Very Major/Serious, Rapture or Near Rapture Level. 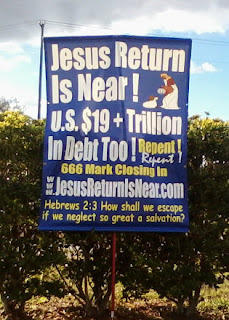 We could be at a “DEFCON 1” Level in Relation to Jesus Return at this time of History. 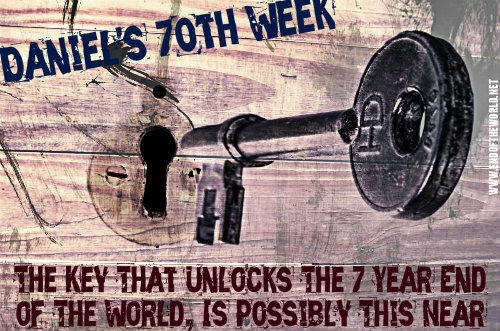 Daniel 9:27, A Seven Year Peace Covenant With Israel and (the) Many begins the 7 Year End of The World — Daniel’s 70th Week. Note from Victor: I’m Pre-Trib > Handed over to he killed for Jesus, may happen to those who become Christians/better Christians during the End. Updated: 4/2/18 :: Luke 23:31 - For if they do these things in a green tree, what shall be done in the dry? The End Cometh, Possibly 65+ Million Abortions over 45 Years in The USA -- Perilous Times Are Here and have been here.